In Greek mythology, Artemis was the daughter of Zeus and the twin sister of Apollo. Among other responsibilities, she was the goddess of hunters but also, curiously, of childbirth, and in some legends she is praised for giving young women who die in childbirth a swift and painless death. At the Granada Native Garden, there are two species of plants named after Artemis, but they are quite different in appearance. 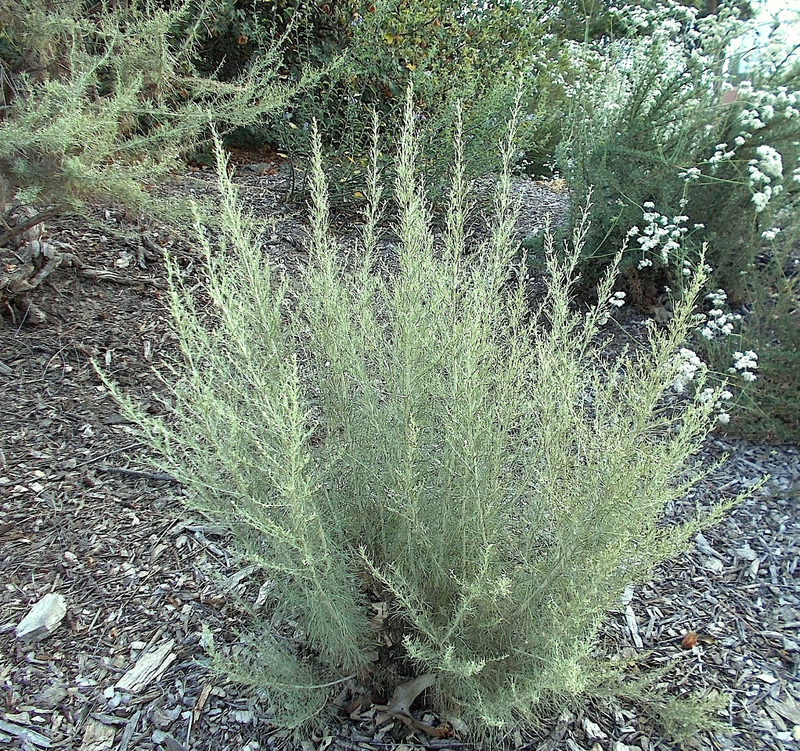 Artemisia californica, or or sagebrush (also known as wormwood), has numerous but short, narrow leaves. These tiny leaves enable sagebrush to endure hot, dry California summers by reducing the surface area from which water might escape; their pale green color reflect much of the summer heat and keep it cool. As a result, sagebrush needs little water, and actually prefers no water in the summer. 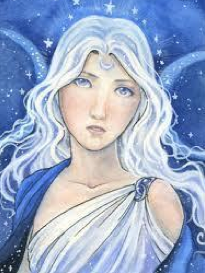 Artemis & Artemisia What do the Artemisias have to do with the goddess Artemis, the goddess of childbirth? One thing that both Artemisias have in common is an interesting fragrance. If you rub the leaves or crush them in your hand, you can’t miss it. The fragrance is due to a number of interesting chemical compounds (terpenes) present in the leaves, many of which are aromatic, such as camphor, camphene, eucalyptol, pinene and thujone. Native Americans, who depended on native plants for food, medicine, shelter, tools and other needs, took advantage of these chemical constituents in many ways. Many of these chemical compounds are potentially toxic or harmful, but in small amounts they have been proven to have extensive, clinically-verified medicinal value. To answer the original question: mugwort tea was drunk to treat premenstrual syndrome, to ease hot flashes and other menopausal symptoms, and to terminate difficult pregnan- cies. An extract of sagebrush also was used to ease menopause and menstrual problems, to ease childbirth, and to “flush out the systems of newborns”. The Many Merits of Artemisia Although Artemisia californica is called sagebrush, not a true sage (Salvia spp. ), it can be used in cooking as a spice and can also be made into a tea. The leaves of sage- brush were burned to disinfect or fumigate a residence; similarly, during the Gold Rush, miners used it to drive fleas from their beds. The Chumash used sagebrush for tools, arrow foreshafts, constructions and fuel. In some cultures, mugwort was a symbol of peace, as the olive branch is to us now. But the most notable uses of both sagebrush and mugwort were their medical applications, in addition to those related to childbirth and women’s health issues, as mentioned above. Sagebrush leaves were applied to the head for headaches. Steam from boiling leaves was inhaled to ease coughs, or the leaves were chewed to fight coughs and colds. Poultices of the leaves were used for toothaches, applied to the back to treat asthma, and as a bath for colds and rheumatism. Sagebrush tea was used for bronchial troubles and as a sterilizing wash for wounds and swellings. Native Americans lined their food storage containers with mugwort leaves in order to repel insects. 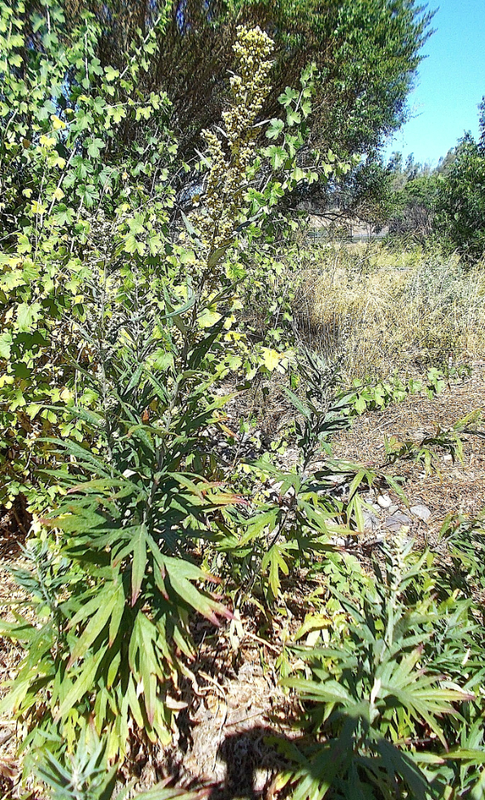 The Chumash used burning mugwort leaves to cauterize wounds or stop bleeding or prevent infection. Have a headache or stuffy nose? Try placing a leaf in each nostril! In its various preparations, mugwort was used as a diuretic, a stimulant, to treat asthma, the flu, colds, bronchitis, fevers, and to relieve pain associated with headaches, broken bones, arthritis and rheumatism. To treat a rash, a handful of fresh mugwort leaves was crushed with the hands and rubbed onto the rash; or alternatively, make a tea of the leaves and bathe the affected area. Finally, the best treatment for malaria! Another species of artemesia, A. annua, long a traditional Chinese medicine, is being used as the most rapid treatment of all other current drugs against malaria. And Lastly, A Cure for Poison Oak! 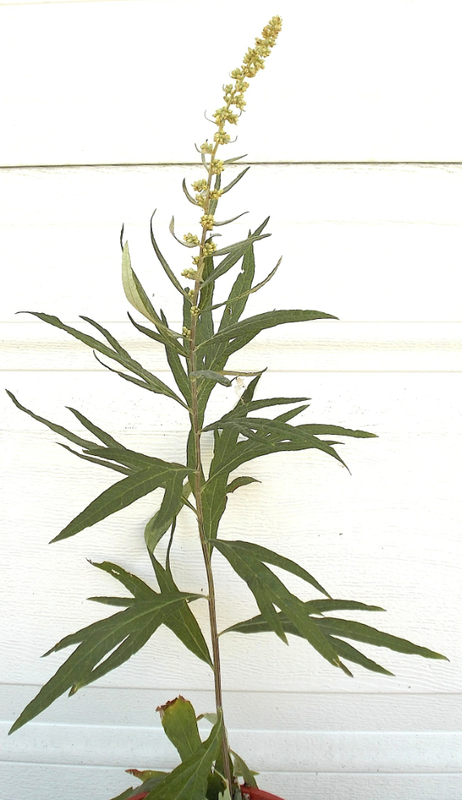 Some people today recommend mugwort as a treatment for a poison oak rash. The rash is caused by an oil, urushiol, in the poison oak, and the terpenes in mugwort are believed to neutralize it. Again, a handful of leaves is crushed and rubbed onto the skin soon after contact with the poison oak. The wide use of Artemisia by the indigenous people of many different countries has led to a number of clinical investigations into the pharmacological properties of this genus of plants. The terpenes contained in these two Artemisia members, as well as other species of that same genus, have been found to possess anti-fungal and anti-inflammatory activity, as well as the ability to limit the growth of cells (cancerous as well as normal). They can easily penetrate the skin, making them useful for topical application as well as for consumption as tea or inhalation as vapor. 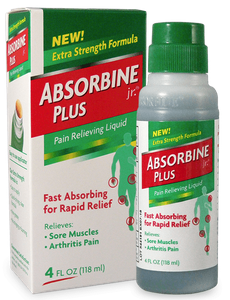 Wormwood is another name for the Artemisias, and extract of wormwood is a frequent ingredient in over-the-counter treatments, such as Absorbine Jr., for “arthritis, aching joints, sore muscles, cramps, backache, strains and sprains, and foot pain”. The seeds of the Artemisias are stimulated to germinate by wildfires that sweep over the ground. Burned plants can re-sprout and keep growing. The leaves that fall from the plants are allelopathic – that is, the terpenes they release inhibit other plants from growing around the shrub. Guided Tours of the Granada Native Garden Are Available! Are you interested in seeing some of the plants that are described in this Newsletter or in past issues? One or more staff of the GNG are routinely on duty at the Garden on Mondays and Thursdays, roughly between 10:00 AM and 12:00 noon. But it isn’t very hard to arrange a guided visit at other times. If you are interested in scheduling a visit, just email Jim at JIMatGNG@gmail.com . Many thanks for giving us another well written and fascinating article, full of useful info! p.s. When I click on a photo to enlarge it, I can’t get back to the main article. Is there a way to close the picture (once enlarged) that I don’t know about? I used ESC and that didn’t work. Update: I used the back arrow and that worked!